There are many who bemoan the ascension of Donald Trump to the office of president of the United States as the beginning of the end of democracy as we know it. 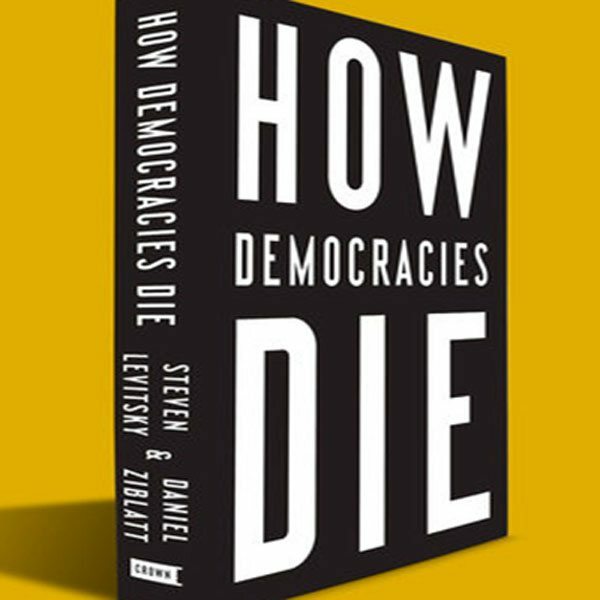 Not so, say Harvard professors Steven Levitsky and Daniel Ziblatt in their new book, How Democracies Die. The process is slow and comes from the inside, according to the authors, and began long before Trump entered the scene. ]Demagogues and authoritarians do not destroy democracies. It’s established political parties, and the choices they make when faced with demagogues and authoritarians, that decide whether democracies survive. And yet McConnell surveyed the tax cuts he passed and the regulations he repealed and called this not a mixed year for his political movement, not a good year for his political movement, but the best year he’d ever seen. 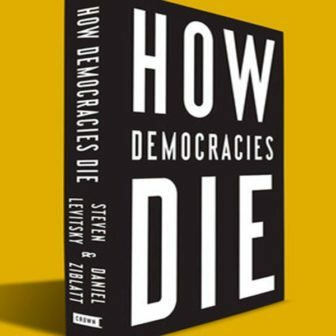 How Democracies Die argues that to survive, political systems need parties who place fundamental values above immediate political or policy gain. America’s democracy is currently operating without that protection. History shows that leaves us vulnerable. And these efforts are usually “legal.” They often come through a legislative process and have approval of the court system. They may even be portrayed as efforts to improve democracy— making the judiciary more efficient, combating corruption, or cleaning up the electoral process. Newspapers still publish but are bought off or bullied into self-censorship. Citizens continue to criticize the government but often find themselves facing tax or other legal troubles. This sows public confusion. People do not immediately realize what is happening. Many continue to believe they are living under a democracy. Klein believes that the book’s most relevant lesson for the United States in 2018 is that “Democracies fend off challenges when participants value the preservation of the system—its norms and ideals and values—over short-term political gain.” The anger and bitterness now seen between the two political parties seems to be something not witnessed before. The norms and values of the past seem to be long lost without a path to regain them.